I know some of my latest blogs have been more vague about module content than usual, but that's because I do not want to give too much away in the way of spoilers. Sometimes it's really hard not to blurt out the ideas one is having for a quest. Having gone through a period of "writer's block", I believe I have made some exciting progress since. Having some fresh areas to work with from Kamal really helped. PC Is Confronted By A Combination Locked Door! So, what can I say ... Well, I can say that the latest quest that I am writing at the moment is a little different from others I have done to date. It's one that some players may not even discover if they are not the curious adventuring type ... and if they do, they may wish they had not discovered it after all. ;) However, for the party of heroes that persevere, the rewards are, hopefully, worthwhile. 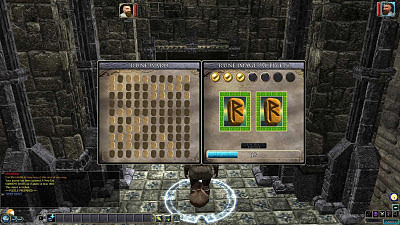 In this quest, I have managed to bring together a number of those pieces of puzzle coding that I have written over the last few years: rune puzzles, password puzzles, combination puzzles, visual puzzles ... etc. 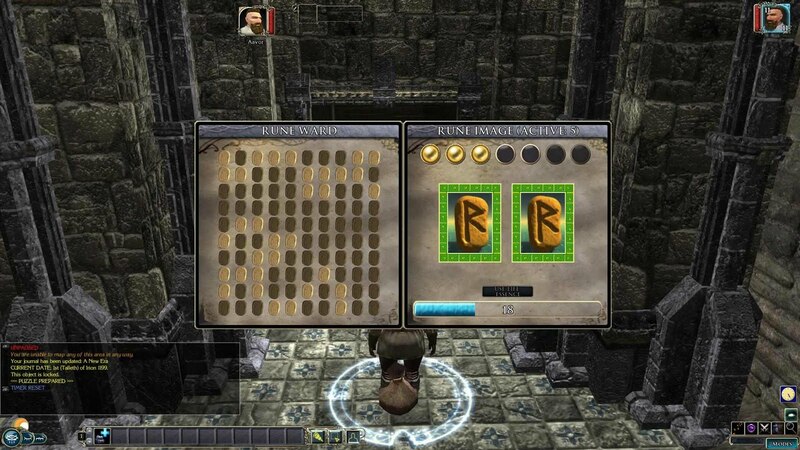 It also makes use of "real" secret doors, new creatures, readable books and scrolls. I also hope to introduce one or two neat ideas for new GUI concepts.